The Queen’s Speech today will highlight the Conservative Government’s legislative agenda for the coming year, and will likely include increases to tuition fees at English universities, and a weakening of the prerogatives of the Lords – where the Government has suffered a string of recent setbacks. “We now have a situation where the UK Government has failed to meet its own targets on key economic indicators. Debt, deficit, borrowing, productivity, innovation, trade, exports – you name the target, the Tories have missed it. Austerity has choked off economic growth – and the UK’s trade deficit is now at its worst position since 2008. 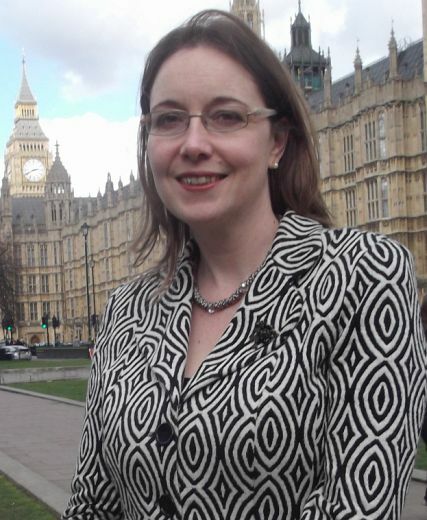 “The upshot of austerity is that, inevitably, it’s the poorest in society who pay the most. We’re calling for a modest – 0.5% – increase in public spending, which would help mitigate the worst impacts of austerity, and boost economic growth. “The only way to tackle the deficit is to grow the economy, and it’s a lesson this Government has singularly failed to take on board. Choking off investment when it’s needed most is economic madness. an end to arms exports to Saudi Arabia. * Comments enabled – see comments box below. Note, all comments will be moderated. There are no jobs to be had in the area, the existing industries are in decline and those employed in them are poorly paid. Unemployment is above the Scottish average. The population is falling at an astonishing rate of 4,500 per year as the locals seek jobs elsewhere. Unfavourable comparisons are being made between Dundee and Aberdeen; Dundee is attracting inward investment on the back of preferential treatment from the government, whereas Aberdeen all on its own in the forgotten northeast corner is all but ignored. No, not a prediction for the future, it is an actual economic snapshot of the Aberdeen area in the 1960s just before North Sea oil was discovered. Once the oil companies leave, Aberdeen could return to economic circumstances that would be even worse than in the 1960s. At least back then there was some semblance to a diversified economy in the city. Aberdeen was dominated by the fishing industry with over a hundred trawlers in the harbour. It was also a popular tourist destination in the days before foreign travel became common. Visitors were attracted to the city described then as the ‘Silver City by the Golden Sands’. There were two ship-building yards at the harbour and paper, textiles and combs were made in the city. Not much of this is now left. Aberdeen’s future could be an even bleaker shadow of its past if no action is taken soon to remedy this. One thing hasn’t changed much since the 1960s however, Aberdeen’s shockingly poor transport links with the rest of the country. Given the city’s relatively remote location this does not bode well for an economic future. The road network in Aberdeenshire is a joke and the railway connection to the south has been shockingly neglected. The rail link is still single track at Montrose, a well-known bottleneck, although a long overdue action to remedy this may now be about to happen. Aberdeen can consider itself very hard done by. As pointed out in a previous Aberdeen Voice article ‘How Aberdeen was short-changed over North Sea oil’ – the onshore infrastructure to support North Sea oil was paid by local government and assisted by our rates / council taxes but not by the UK government. Between 1975 and the early 1990s the expenditure by the Grampian Regional Council was in excess of £100 million per year. The other areas affected by North Sea oil are faring much better than we are. Revenue from the Sullom Voe and Flotta oil terminals means that Shetland now sits on an oil fund of £400 million and the equivalent in Orkney is just under £200 million. A plan by Grampian Regional Council to levy rates on offshore platforms as a means of funding onshore infrastructure was blocked by the Treasury. 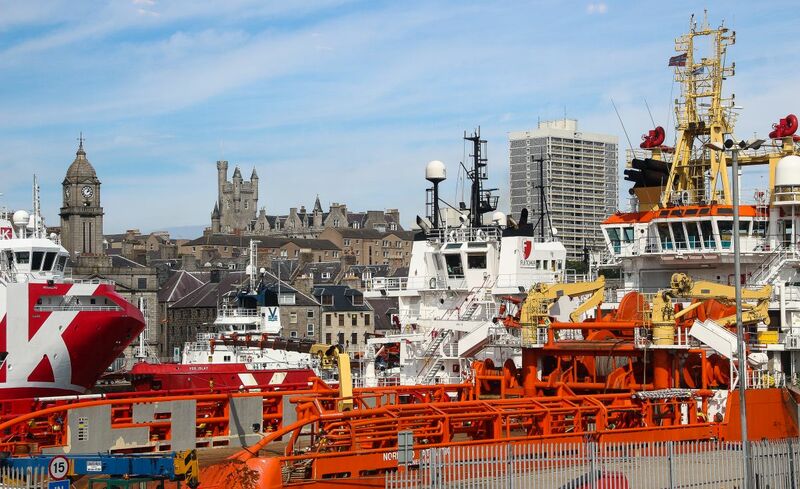 Given that the UK tax take from North Sea oil and gas is now over £300 billion in today’s money, there is a strong moral case for the government to now help Aberdeen to establish an economic base for the future. Our local politicians and media will need to shout very loudly that it was our local government that bankrolled the needs of the oil industry only for all the revenues to go elsewhere. Yet, the perception is that the city has somehow squandered what should have been its golden goose; that some enormous pot of money was available to Aberdeen to do with whatever we wanted to. Here’s a recent example of this nonsense. “I’d argue that Dundee and Perth – jointly progressing a City Deal bid at the moment – are more worthy of that investment at this moment. 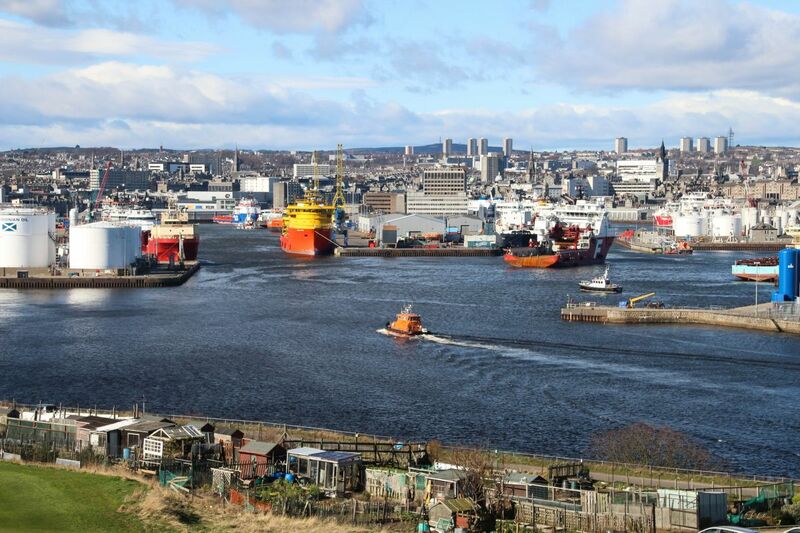 So what should Aberdeen do to diversify its economy? I’m a petroleum geologist not an economist, so I will not profess to any special insights on the issue. Others have noted that the city could play to certain strengths; more could be done to attract tourists, particularly given the region’s scenic attractions and heritage. The area is strong in biomedicine through its academic institutions and who knows, a rump of the oil industry may linger in the city servicing the petroleum industry globally. I will make one comment though. The most obvious successor to the oil industry in Aberdeen is the renewable energy sector. 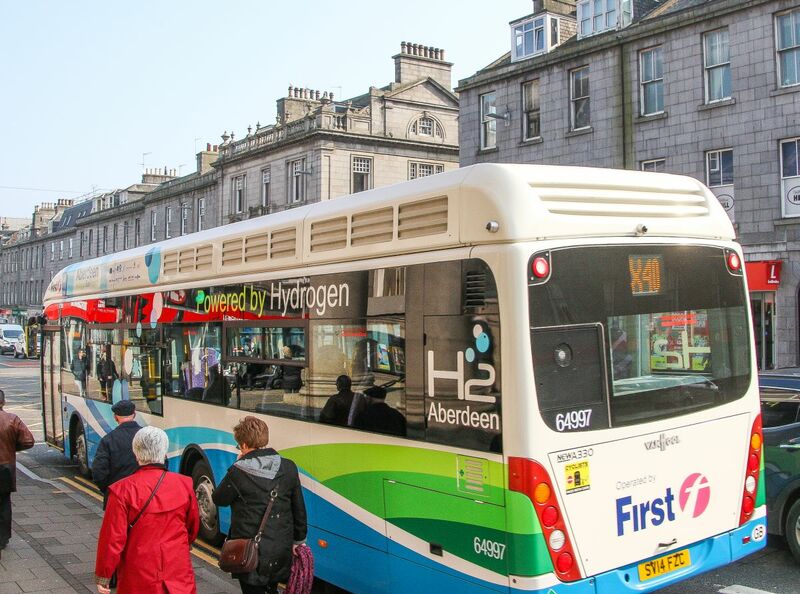 Aberdeen’s future as an energy city should be as and energy city. The city already hosts engineering companies and technical knowhow. There is an obvious crossover to be made. This isn’t the first time that renewables has been promoted for the city and region. We have the Aberdeen Renewable Energy Group (AREG) and more recently the Energetica initiative to establish the Aberdeenshire coastal strip as a corridor for the renewables industry. 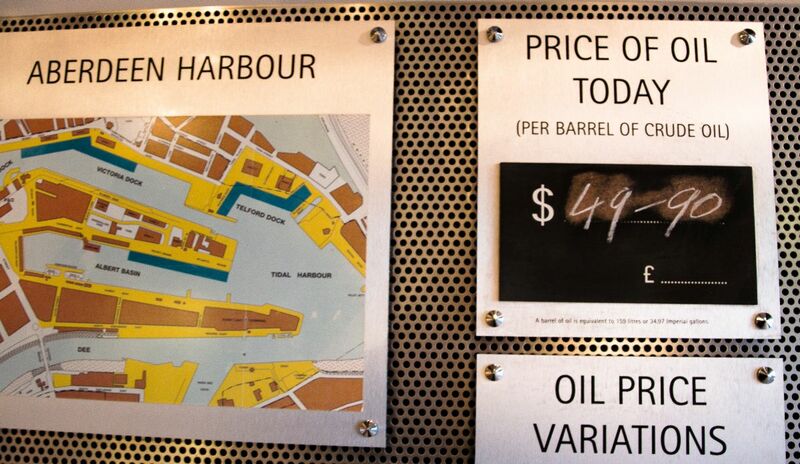 Neither of these has taken off big time, part of the problem being the high cost bases of the area driven up by the presence of the oil industry. Nevertheless, the recent oil price crash has focussed attention on the need to diversify the Aberdeen economy. The politicians need to push and push until this happens with absolute determination and drive. It will take government money, but for Aberdeen, the turbo-charged motor of the UK economy for the last 40 years, it’s payback time. A huge industrial undertaking is about to take place off the Scottish coast involving billions of pounds of expenditure; this is decommissioning. As a result of an international convention for the NE Atlantic area, oil companies are obliged to remove most of the offshore infrastructure, including oil platforms and pipelines, once oil and gas production operations have ceased. The scrap material will be brought onshore and disposed off accordingly. It will not be allowed to remain in place offshore unless there are good reasons to do so. The scale of this operation is massive. Once the last drop of oil has been produced, it will have involved the dismantling of about 475 offshore installations, 10,000 kilometres of pipeline and 15 onshore oil and gas terminals. According to the industry body Oil and Gas UK (OGUK) decommissioning will entail £55 billion of expenditure by 2050. Let’s repeat that figure again – an industry that will spend £55 billion (and that’s probably an underestimate) is about to hit our shores big time. The coastal cities and towns of the UK and Norway will provide the bases for this undertaking. Some of it has already happened, three of the Brent field platforms are being decommissioned, although the activity has been relatively small-scale to date. Given the currently low oil price, it’s possible that the volume of work involved could increase substantially from now on. OGUK have predicted that 79 oil and gas platforms could be abandoned by 2024; another estimate puts this figure as high as 146 out of the 300 platforms standing in the North Sea in a similar time scale. The world of business is acutely aware of the opportunities involved and we may be on the cusp of a feeding frenzy as companies pile in to grab what is a large and guaranteed pot of cash. 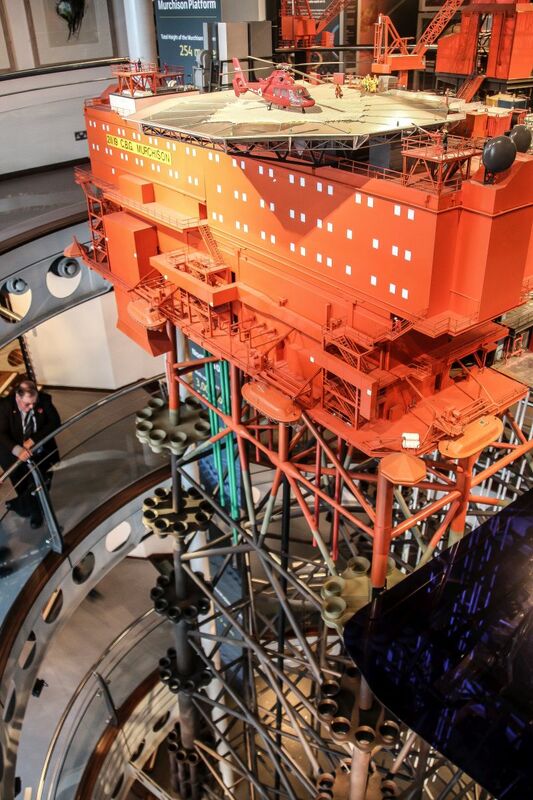 The big attraction for business in getting involved with decommissioning is that it is a major growth area. Not only is there an enormous amount of guaranteed work coming up; new technologies will need to be developed given the challenges involved. Other offshore areas in the world will eventually become the focus of decommissioning and this provides the potential for any single company to become a major internationally-established corporation worth billions on the back of gaining experience in the North Sea. The prize is enormous. Even at this early stage it’s possible to identify trends likely to transform into future newspaper headlines. You heard them here first. The Aberdeen versus Dundee rivalry over the spoils from North Sea oil has revived. Dundee has never particularly prospered from oil and gas and this is a source of discontent for the Tayside city. Dundee is now repositioning itself to become a major centre for decommissioning. Forth Ports, owned by a private equity company, are spending £10 million on upgrading the eastern end of Dundee harbour for decommissioning and offshore wind projects. 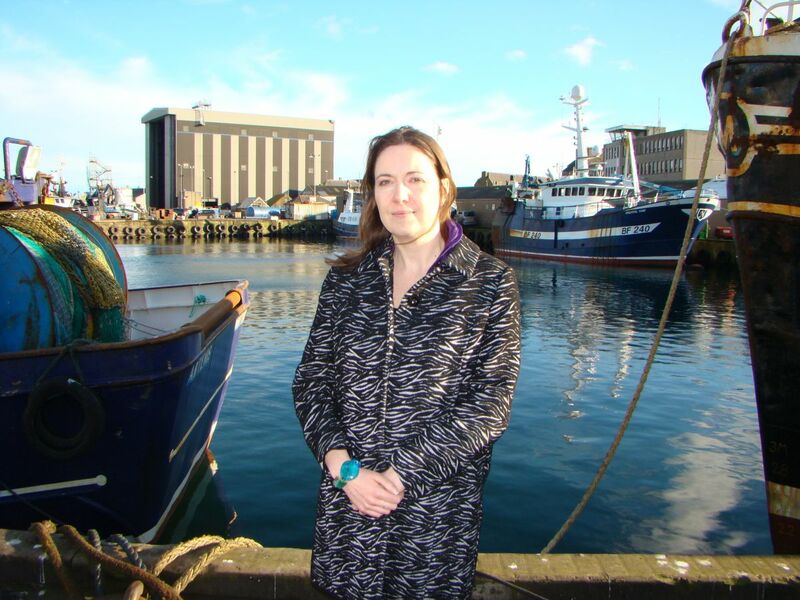 Aberdeen Harbour Board, not wishing to lose out on a vitally important industry at a time when the oil companies will be finally leaving the city, intends to turn Nigg Bay into a deep-water harbour. According to the details given with the Aberdeen City Deal this will enable Aberdeen to compete for decommissioning work. The development of Nigg Bay is controversial; local residents have been less than impressed with pictorial representations of the future development, complete with cruise ships and the surrounding open green space shown rather improbably as being left intact. The business behemoth of decommissioning will be very difficult to stop however. One other area that could fill future headlines is the scale of the government involvement. The government are committed to a part-funding of decommissioning through tax breaks although the legislation is complex and it is not clear as to how much money is involved. The Guardian reckons the percentage tax relief is between 50 and 75 per cent of the total expenditure. OGUK have recently quoted an estimate that the taxpayer will be providing £16 billion for decommissioning work by 2050 although this figure looks on the low side. The tax breaks will prove a major future liability for the UK government (or a Scottish government should independence come). One question begs to be asked. What happens if an oil company goes bust and it doesn’t have any money to pay for decommissioning? I would anticipate there are contingency plans for this situation, although I suspect it’s a hyper-sensitive issue in government circles. The issue dogs open-cast mining operations in the Central Belt of Scotland and in Wales where several mine operators have folded before the reinstatement of the land could happen. The legal and practical issues involved have proved to be a nightmare. It will be important to ensure that future decommissioning work is carried out in an environmentally circumspect manner and the Scottish Environment Protection Agency will have much work on its hands to monitor all of this. Big money will come to the Scottish coastal cities and towns over the next few decades from decommissioning. Aberdeen will get a share of some of this work, although it remains to be seen whether the city can chase off the challenge from Dundee to become a potential national centre for the decommissioning industry. It’s the scrapheap challenge. 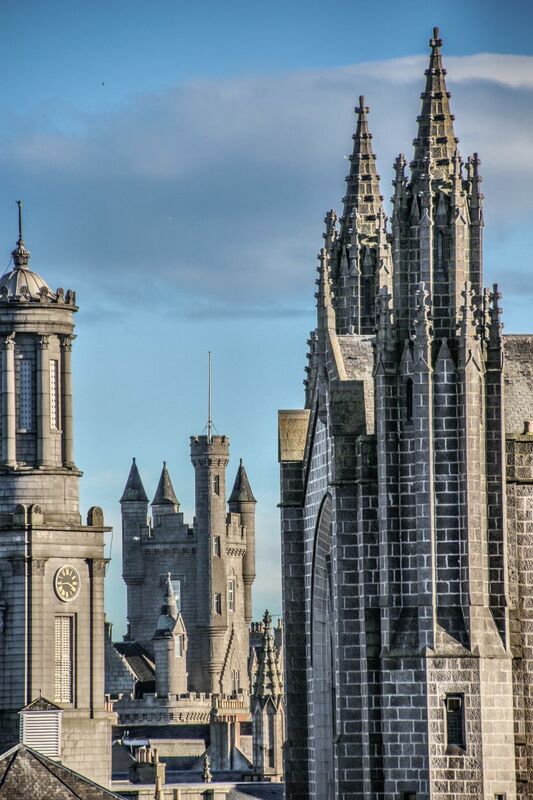 Next week – the final part of the series: The long-term future for Aberdeen.